Healthy Monday! : My dear salad! tonight is a salad night like most of my Mondays. I always feel kind of lazy on Mondays and I find salad the quickest to make to there we go. 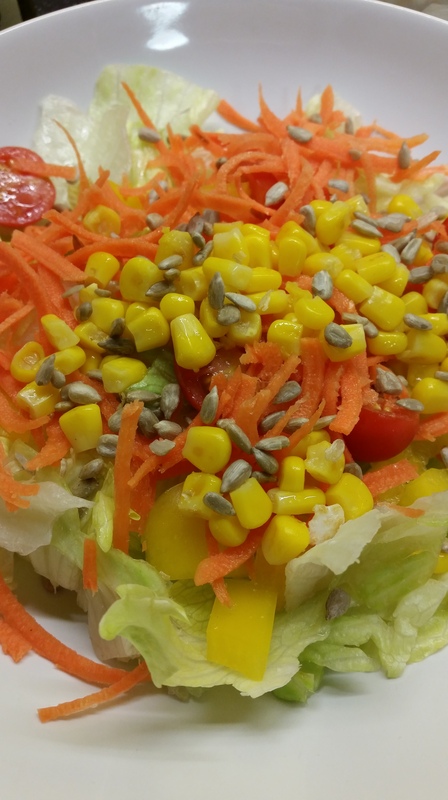 This one has lettuce for the base, cherry tomatoes, corn, yellow peppers and carrots to get our vitamin intake and help our sight and also some sunflower seeds to get some fiber. It’s a pretty basic yet full of vitamins salad!